Xerox DocuColor DC240 250 242 252 260. WorkCentre 7675. Xerox DocuColor 240. Xerox DocuColor 242. Xerox DocuColor 250. Xerox DocuColor 252. Xerox DocuColor 260. WorkCentre 7655. Alternative for: HP CE411A. For LaserJet Pro 300 color M351a, 300 color MFP M375nw, 400 color M451, 400 color MFP M475. 12 months warranty supplied. Grade of Product. Unit 63-64 Leyland Trading Estate. Equivalent to HP Q6511A. Compatible with HP 12 months warranty supplied. Grade of Product. Unit 63-64 Leyland Trading Estate. This is a genuine Xerox part. 12 months warranty supplied. Grade of Product. 12 months warranty on all products. Unit 63-64 Leyland Trading Estate. Remanufactured by Xerox. Compatible Products: HP LaserJet 1160, HP LaserJet 1320, HP LaserJet 3390, HP LaserJet 3392. 12 months warranty supplied. Grade of Product. Unit 63-64 Leyland Trading Estate. Duty Cycle Up to 2100 pages at 5% coverage. 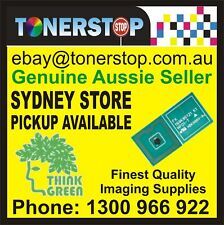 Compatible with HP Color LaserJet Pro CP1525n, CP1525nw; LaserJet Pro CM1415fn, CM1415fnw. 12 months warranty supplied. Grade of Product. Unit 63-64 Leyland Trading Estate. Genuine Xerox 8400 Solid Ink, 17 Boxes of 3 sticks. Brand New,sealed,51 blocks. So in total 10 boxes of Magenta(3 ink blocks in each), 5 boxes of Cyan(3 ink blocks in each), and 2 boxes of Black(3 ink blocks in each), all up 17 boxes, total of 51 sealed solid ink blocks. I no longer have the printer so these have to go. Xerox DocuColor DC240 DC250 DC242. Xerox DocuColor 240. Xerox DocuColor 242. Xerox DocuColor 250. Xerox DocuColor 252. Xerox DocuColor 260. 1 x Yellow Toner Xerox. Color: Yellow. OEM Code: CT201610. Xerox Docuprint P215b. Xerox DocuPrint P205B. Xerox DocuPrint M205B. Xerox DocuPrint M205FW. Xerox DocuPrint P205W. Xerox Docuprint M215b. Xerox Docuprint M215fw. CODE: 106R02240. 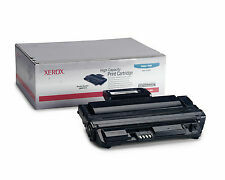 XEROX 106R02240 are compatible with the following products XEROX WORKCENTRE: 6605. XEROX PHASER: 6600. 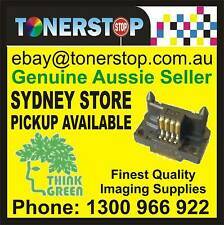 Xerox 006R01395 Genuine Original Unused Black Toner Cartridge 7425/7428/7435 Condition is New. Dispatched with Royal Mail 2nd Class. 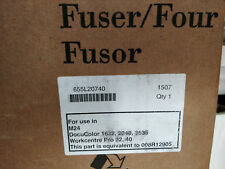 Genuine Xerox Phaser 6700 METERED Toner Set CMY 106R01519/20/21PagePack Inc Vat. Condition is New. Dispatched with eBay delivery – Shutl 1 day. Brand new and sealed. Vat included. Part Numbers: 008R13175 8R13175. Xerox® Versant® 80. Xerox® Versant® 180. Xerox® Versant® 2100. Xerox® Versant® 3100. Xerox® DocuColor™ 700 700i 770 IBT Cleaner Assembly 042K93483 641S00663 042K94150 042K94151 042k93480 042K93481 042K93482 042K94560 641S00850. Xerox® DocuColor™ 700i. Compatible Machines: Xerox® DocuColor™ 700. 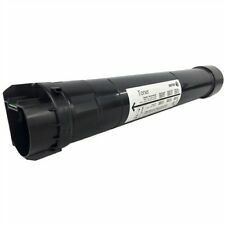 COMPATIBLE LASER TONER FOR XEROX WORKCENTRE 3315/3325 (106R02312) 11000 PAGE!!! For Xerox workcentre 3315/3325. page yield 11000k. 106R01510, 106R1510, CT201569. Part Number: 106R01510, 106R1510, CT201569. Phaser 6700 Phaser 6700dn. Phaser 6700dt Phaser 6700dx. Phaser 6700n. XEROX PHASER 6700 DMO TONER CTG YELLOW 5K. XEROX PHASER 6700 TONER CTG YELLOW 12K. Xerox Phaser 7500 Printer Imaging Unit - 108R00861. Condition is New. This original Xerox 106R02309 toner cartridge offers the very best print quality available for the Xerox WorkCentre 3315V and all other compatible printers. 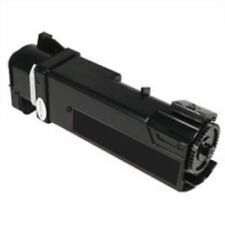 Made entirely from brand new components you can put genuine trust in this toner cartridge..Once the original Xerox 106R02309 is fully assembled it is fully filled with premium quality black toner powder designed to fuse at the very same temperature produced by your printer. This precision engineering reduced waste and leaves you with distinct black and white prints that you can be proud of.VAT and shipping included in the price you see here. Click here for more details. 106R01373 Xerox - Toner cartridge - 1 x black - 3500 pages - 106R01373 Brand new and sealed. Vat included. Brand Name Best Pricing Fast Shipping High Quality XEROX PHASER 7400 BLACK TONER 106R01156 E CLICK Best Price XEROX PHASER 7400 BLACK TONER 106R01156 E CLICK ​​​​​​​​​​​​​​ Condition - Please see below ​​​​​​​VAT Inclusive Fits the following printers: Please ask to see if this cartridge is suitable for your printer ↵ ↵ Please read before purchasing We are a surplus dealer. We deal with surplus computer consumables. This means that all of our stock is new & unused OEM stock. All supplies will be original, genuine and manufactured by the Brand stated. As we are a surplus dealer it means that although all of our stock is new and used some of the packaging of the items may be damaged/ not exist. Inks All inks will be supplied in, at minimum, in their original foil or plastic outer packaging. Brand Name Best Pricing Fast Shipping High Quality XEROX PHASER 8500/8550 BLACK INK COLOURSTIX 6PK 108R00672 Best Price XEROX PHASER 8500/8550 BLACK INK COLOURSTIX 6PK 108R00672 ​​​​​​​​​​​​​​ Condition - Please see below ​​​​​​​VAT Inclusive Fits the following printers: Please ask to see if this cartridge is suitable for your printer ↵ ↵ Please read before purchasing We are a surplus dealer. We deal with surplus computer consumables. This means that all of our stock is new & unused OEM stock. All supplies will be original, genuine and manufactured by the Brand stated. As we are a surplus dealer it means that although all of our stock is new and used some of the packaging of the items may be damaged/ not exist. Inks All inks will be supplied in, at minimum, in their original foil or plastic outer packaging. Part Numbers: 106R01581 6R01581 6R1581. 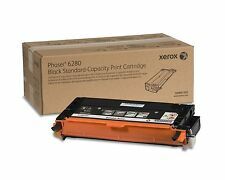 Compatible Products: Xerox Phaser 7800. UPC Code: 095205766530. A4 colour laser printer. SOLD AS SEEN. 8000 006R90347. Suitable for DocuColor 7000, 7000 AP. 8000, 8000 AP. Marke Xerox. Condition of this unit: All our units are New Or used & may contain slight marks or scuffs on the casing, however this will not affect the function or use. 6R01396, 006R01396, 006R1396. Part Number: 6R01396, 006R01396, 006R1396. WorkCentre 7425 WorkCentre 7428. XEROX WORKCENTER 7425 TONER YELLOW GENERIC. XEROX WORKCENTER 7425 TONER CYAN. XEROX WORKCENTER 7425 TONER CYAN GENERIC.